Halloween has always been one of my favorite holidays. Actually, I love all things fall! We've crammed a lot of fun fall activities into the last few days and some did not exactly go as well as planned. 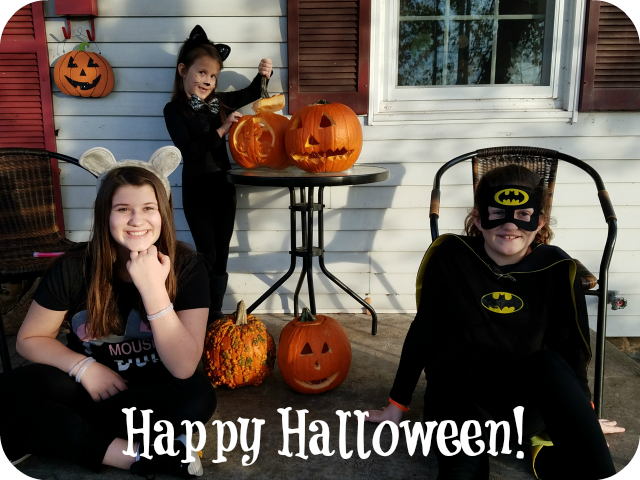 I was really hoping that three happy girls got of the bus this afternoon, because trick or treat night had arrived. 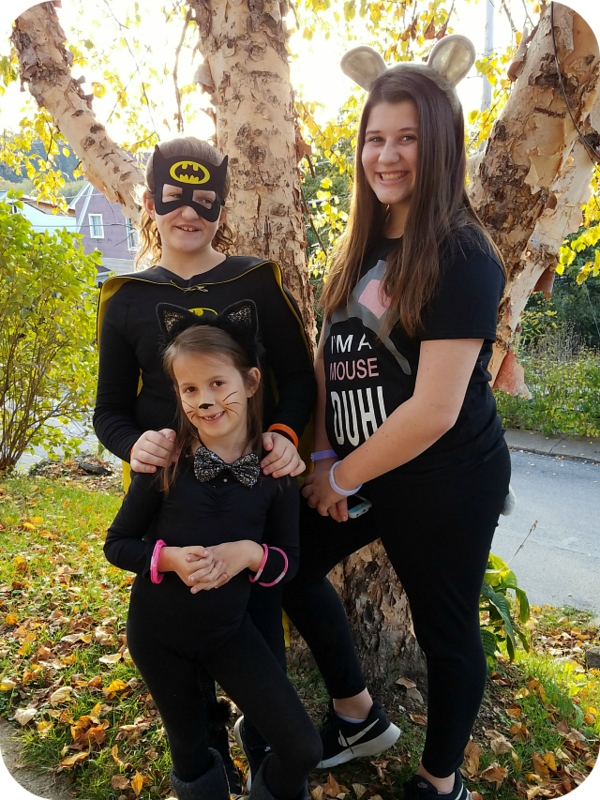 Thankfully, there were no grouches...just Batman, a cat, and a mouse (duh)! While the big girls planned to go with friends, Stella and I were heading out alone for some treats.